WELCOME to this Uber chic, meticulous, bright and open 2 story! Pride of ownership exudes from this one time owner home. It's simply perfect for the first time home buyers or empty nester's. Comfort found with an inviting, cozy front family room, large windows & quality coverings throughout this beautiful functional living space. The gourmet kitchen is granite laden, with cabinets galore and stainless appliances. Your private deck is the perfect spot for summertime BBQ's! The 2 piece powder room is conveniently located off the back entrance. Featuring an over sized double detached garage that has room for ample parking and is host to plenty of storage and shelving. With 3 bedrooms up, a master en suite and a full 4 piece main bathroom. The lower unspoiled basement has roughed in plumbing for a 4th bathroom, laundry room and potential for a 4th bedroom and a second family room. Central A/C completes the comfort of your turn key new home! 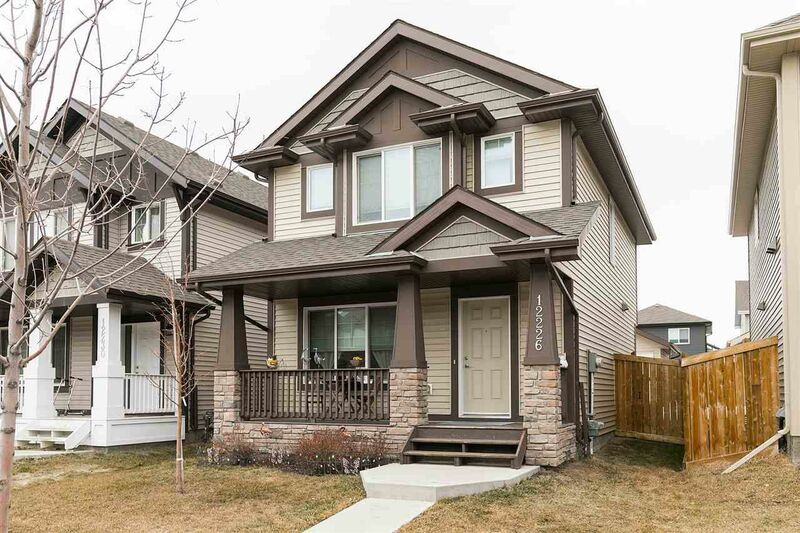 Walking distance to LA Fitness, Sobey's, restaurants and bus routes!